The Newquay Quiksilver Store on Fistral Beach is now open. 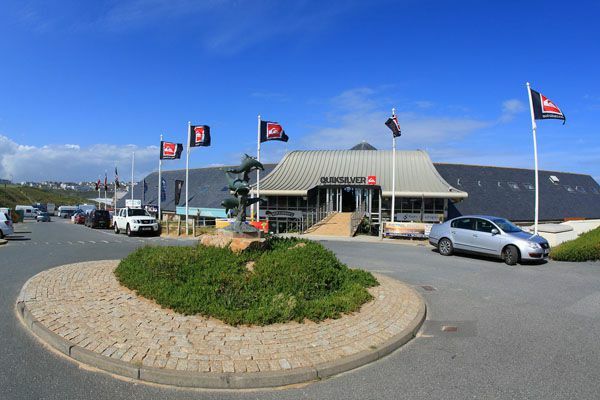 Situated in the surf capital of the UK, the 400m2 space offers the very latest products from all the group’s leading brands; Quiksilver, Roxy, Moskova, and a full technical range of surfboards, wetsuits and accessories. 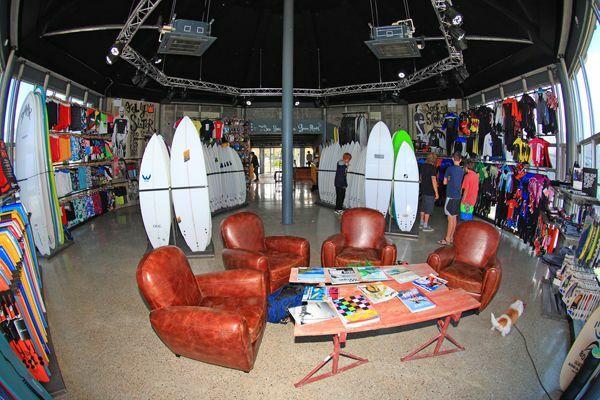 Neighbouring the Newquay Quiksilver Store is also the new UK South West Quiksilver showroom, an additional 300m2 space facing the ocean, creating a perfect workplace for the Quiksilver team. The space is split between Quiksilver Men’s, Skate, Technical Surf, Roxy, Quiksilver Women’s, and Youth, where all areas are designed to create a unique shopping experience. At the entrance you’ll see the latest Quiksilver apparel and exclusive Custom Boardshorts program where you can design your personalised boardshorts instore. To the right, the skate area uses subtle materials inspired by the streets, concrete flooring and brick walls to create the urban environment. This space holds an impressive collection of skateboards, skateboard accessories, core skate apparel, and footwear. Opposite, a 100m2 area dedicated to girls includes the latest Quiksilver Girls and Roxy collections, presented in a cool and cosy environment. An explosion of colour, natural sunlight, rustic wood features, and a vintage feel gives this space a ‘home sweet home’ feel. The central feature of the store encompasses Quiksilver’s largest technical surf range in the UK, with spectacular views overlooking the surf at Fistral beach. The impressive range includes more than 150 surfboards by legendary shapers Bradley, Merrick, Grace, Phipps, and Anderson. The technical area is complimented by a large wall dedicated to wetsuits, lycras, and surf accessories, with paddleboards, bodyboards, and accessories opposite. The final touch is the surfers lounge area facing the ocean where customers are invited to watch the surf, access free internet, browse through surf books, and absorb the incredible scene. “I’m stoked to see my long term sponsor and the world’s leading surf brand based right by my home break. Having been with Quiksilver for 26 years and now working as the Surf Team Manager it’s awesome to have such a strong base in the UK. The new store and new showroom are huge statements for us and we’re all really excited to have them here.” said Spencer Hargraves, Quiksilver UK Surf Team Manager. “This new space will really enable us to showcase our brands and bring it back to the beach. We want to continue to support & promote surf in the UK and what better way than to have our showroom based at Fistral Beach.” added national sales manager Herman Semmelmann.